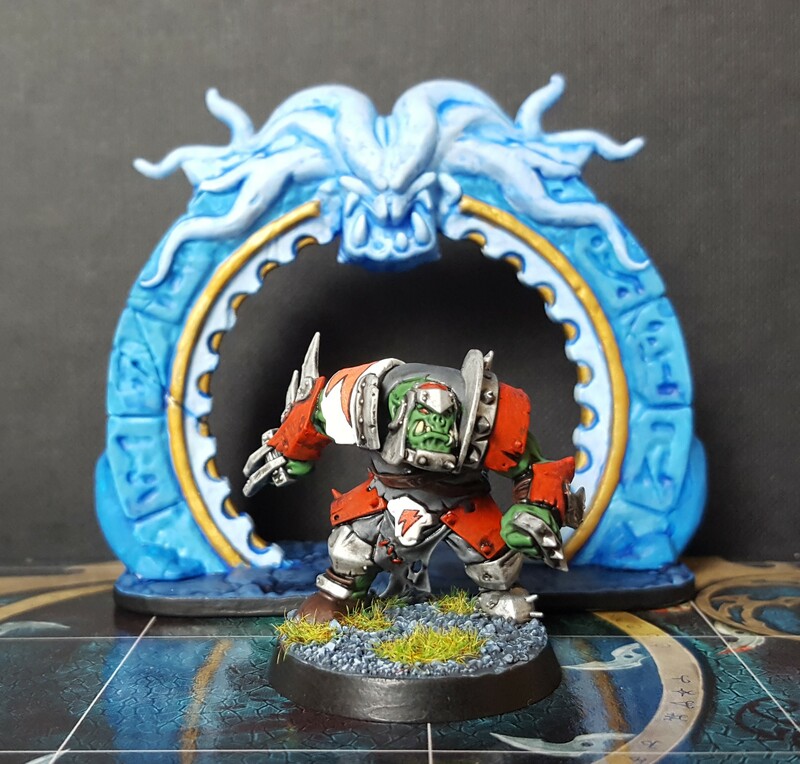 With Games Workshop’s recently release of their competitive arena battle game, Shadespire, many players have looked for ideas on how to add a bit of flair to their adventures in the Mirrored City. We still have a large back catalog of proper minis to paint, so in the meantime, we’ve opted to go back about 15 years for a product that fits our current gaming needs. A few months ago, I wrote about a Kickstarter campaign that had caught my eye. The campaign was run by Word Forge Games, and it was for an Ogre team for their game, Gore Ball. 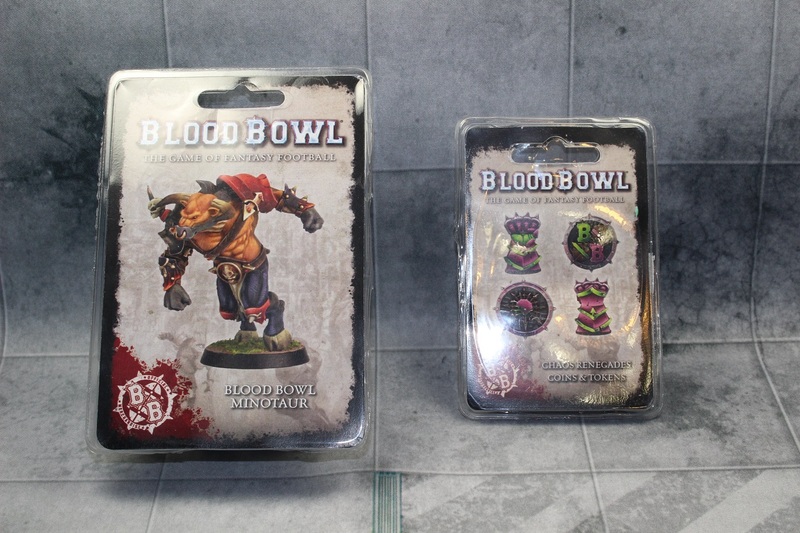 At the time I was unfamiliar with Word Forge Games and Gore Ball, but I really liked their Ogre minis as their aesthetic fit in with the new Games Workshop Blood Bowl Ogre almost perfectly. After my initial post about the Kickstarter campaign I reached out to Word Forge Games and they very graciously agreed to send me a copy of the Ogre team for review. Now, several months later, a box from the UK has shown up at my door, and it’s time for another unboxing! 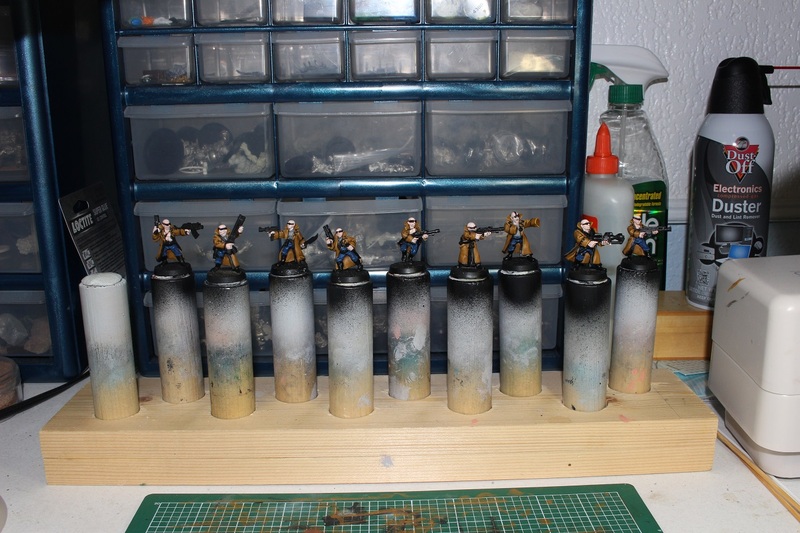 Warhammer Quest Silver Tower is the game that launched my current Age of Sigmar obsession, and at some point I’ll jot down all the reasons Age of Sigmar is deserving of your hobby time. For now, I’m sharing another home-made hero. There’s one thing that every tabletop gamer would love as a gift, a fancy gaming table. It’s not usually something you’d probably think is attainable, but every once in a while, the gaming gods will smile on you. That’s what I thought had happened last Christmas, but it was just the start of a much bigger experience. 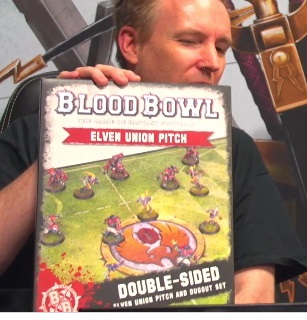 My roommate, Scott, and I host Both Down, a Blood Bowl podcast. We’ve been friends for a long time and after his divorce, I ended up moving in. Since then we’ve played many games of Blood Bowl as well as many, many, many other games on his rickety dining table. It was never horrible, but more than once, the discussion popped up about how a new/better table would be more conducive to better playing experiences.